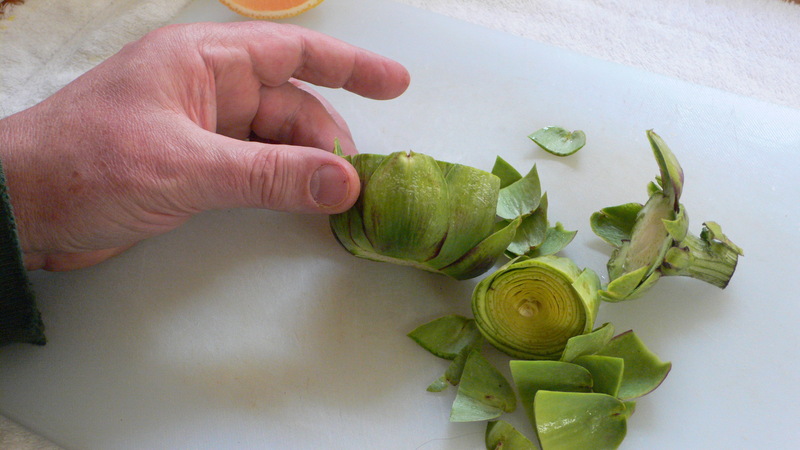 Baby artichokes can be found in your local farmer’s market in February-March. 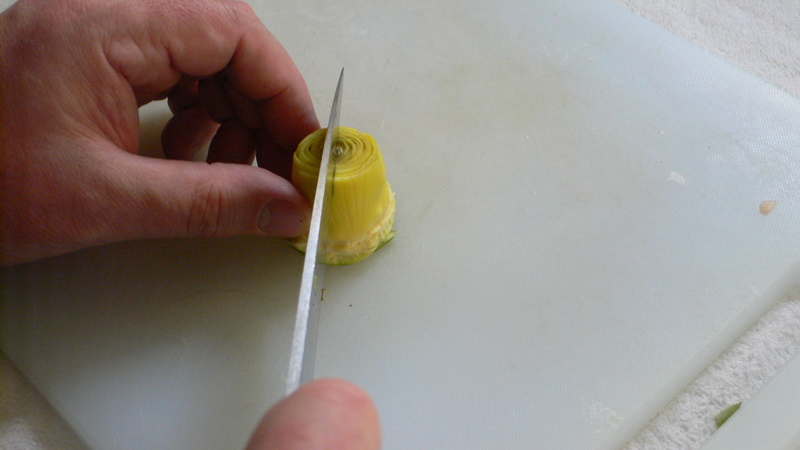 They should be about 2 1/2 to 3 inches in length. 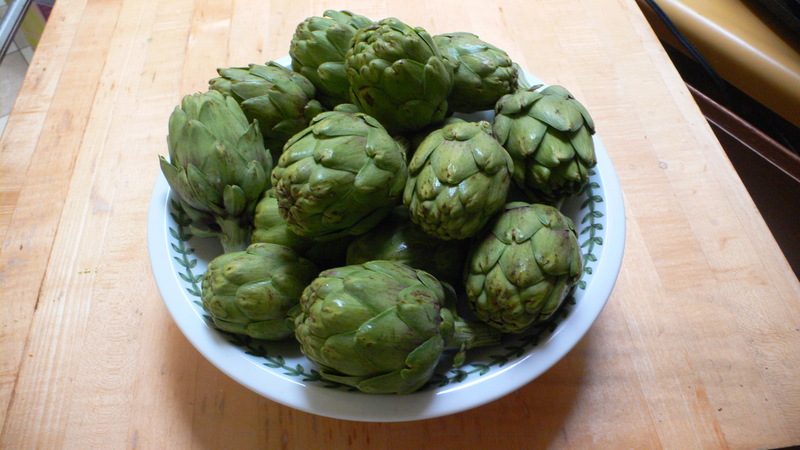 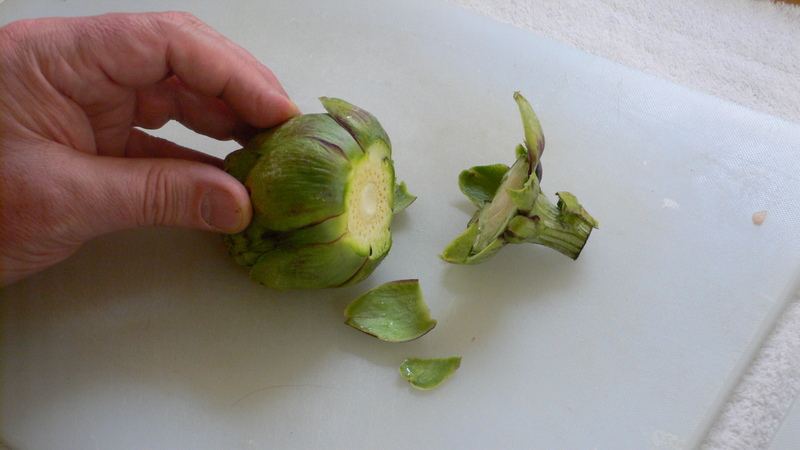 Wash the artichokes in a large bowl of water to rinse away any grit. 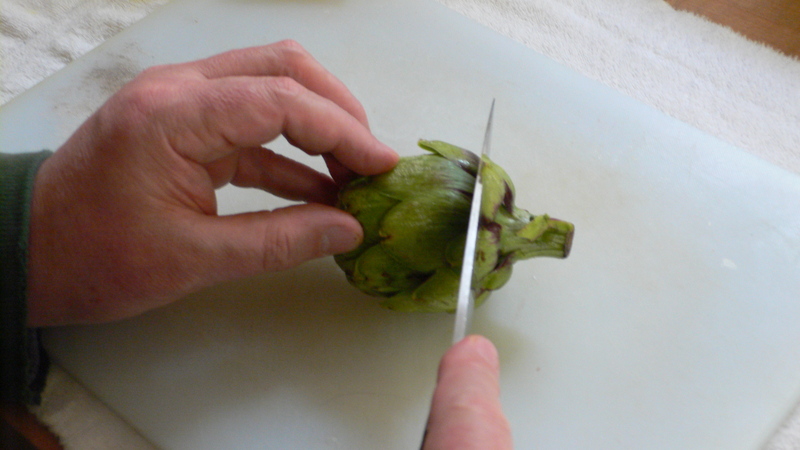 Shake out each artichoke to remove excess water and place on towel. 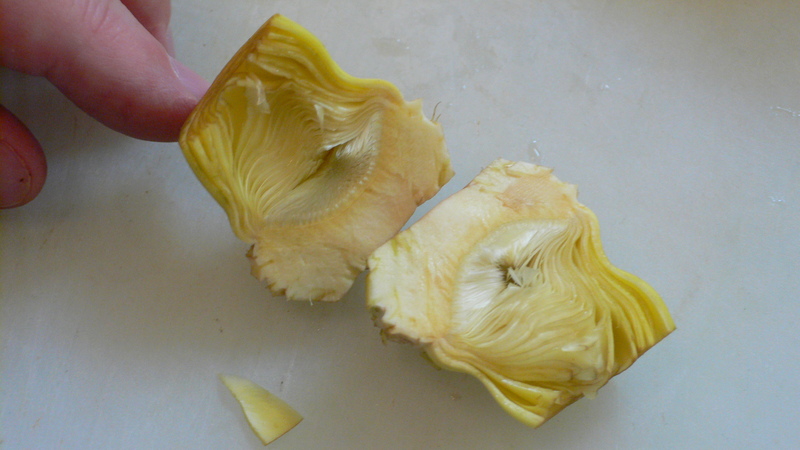 Juice a whole eureka lemon and pour into a glass (non-reactive) bowl. 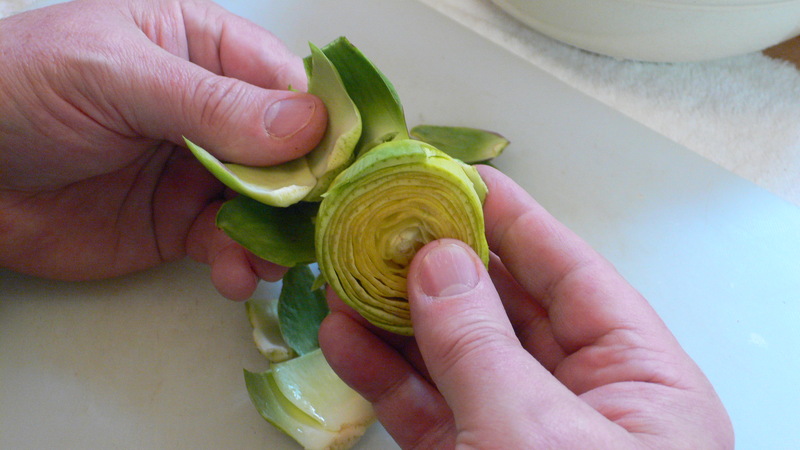 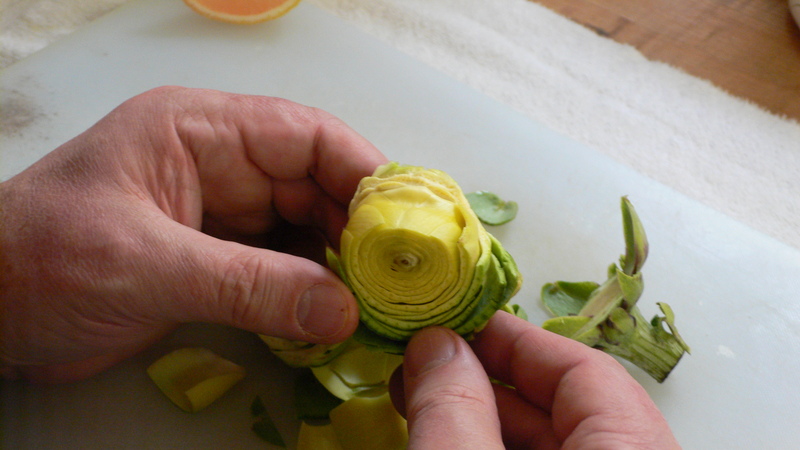 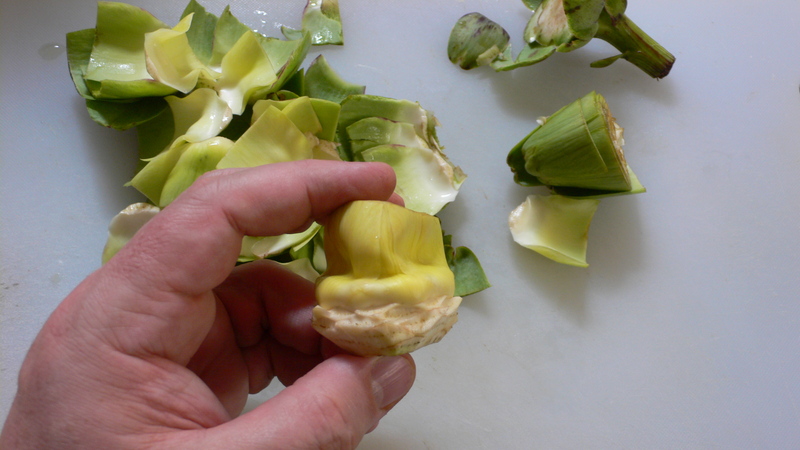 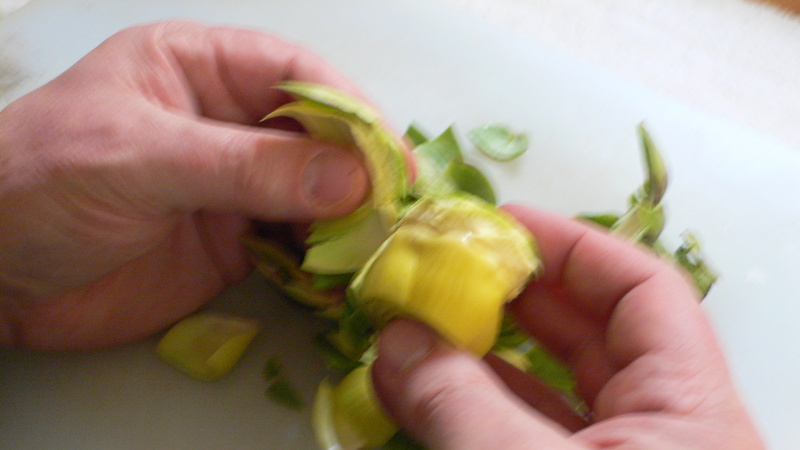 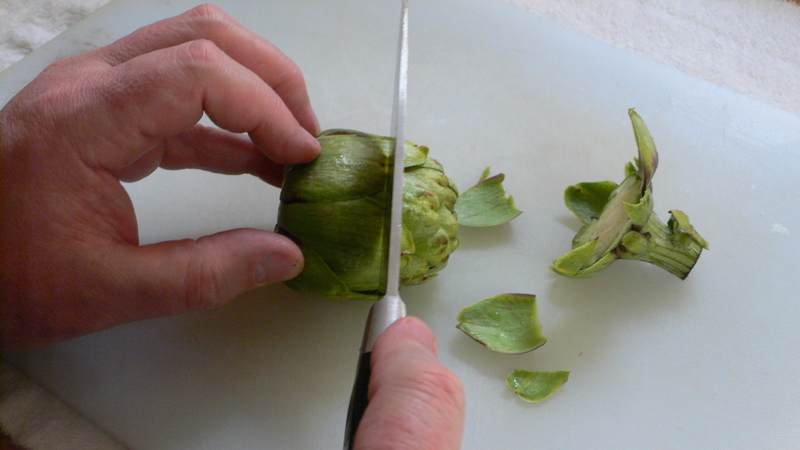 Using a large sharp knife on a cutting board, trim the artichokes by peeling the stems, chopping off the top and peeling off the outer tough leaves then trimming the excess around the bottom. 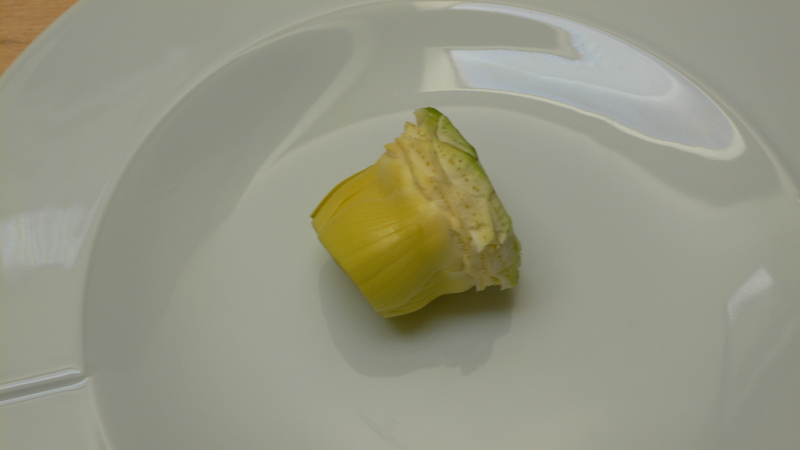 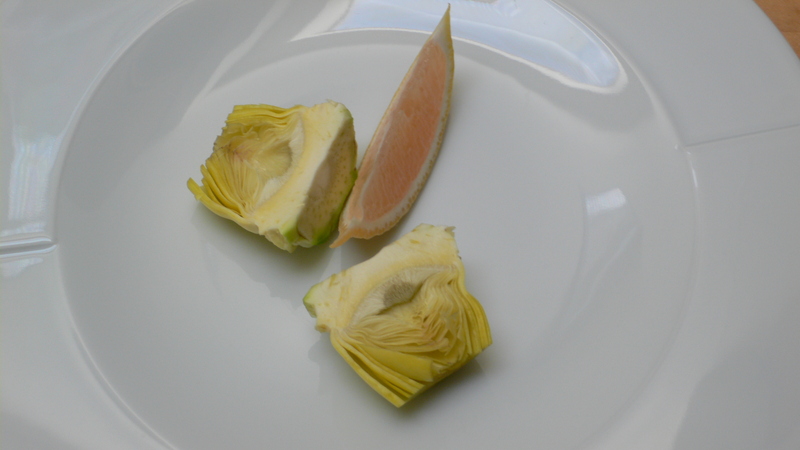 Cut artichoke heart in half. 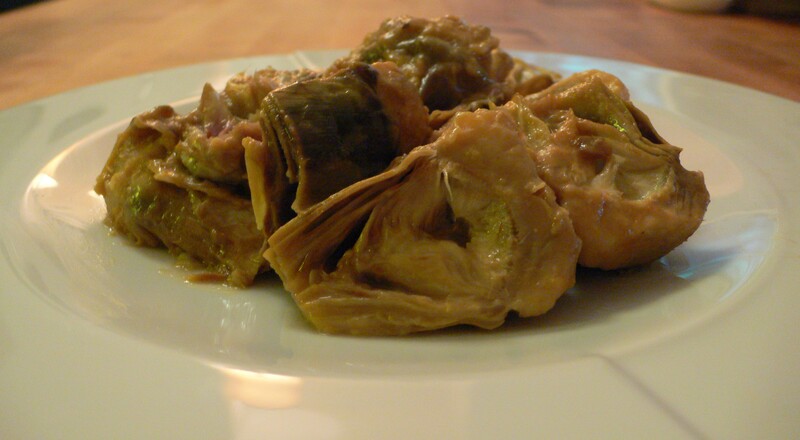 Keep the prepared artichokes in a bowl with the lemon juice to prevent discoloration while you finish preparing the rest. 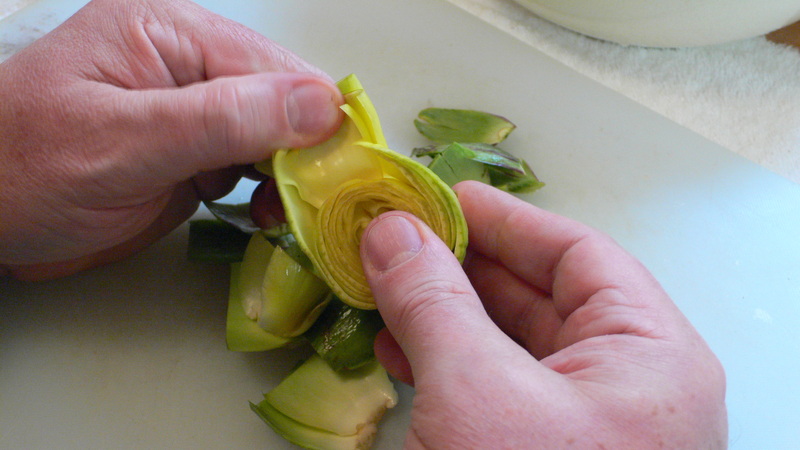 In a non-reactive sauce pan, such as an All Clad 5-quart, add an eighth stick of unsalted butter and a splash of olive oil in the preheated pan. 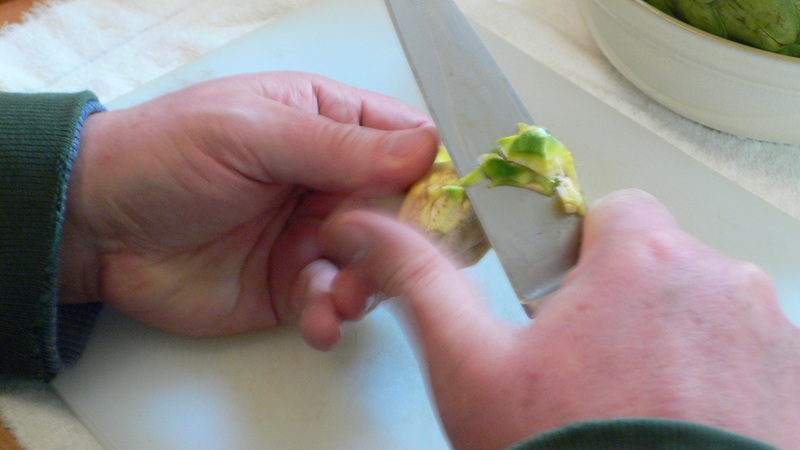 After butter and oil is heated, add three large finely chopped garlic cloves and a pinch of dried oregano, then add the hearts. 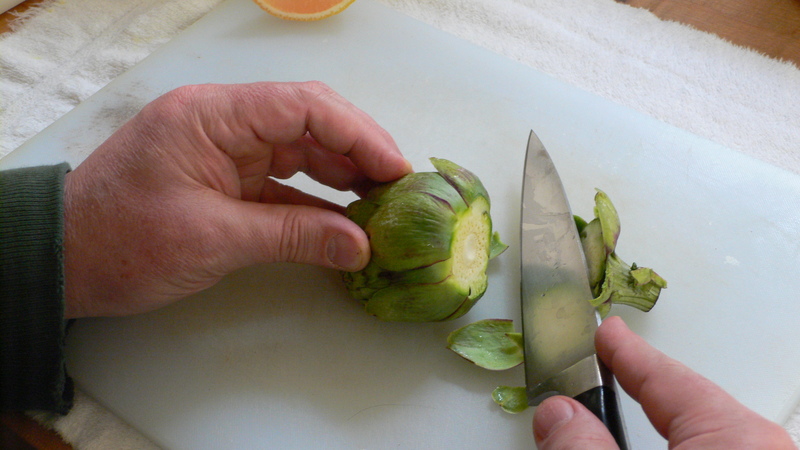 Add enough water or chicken stock to prevent burning (about 1/4 to 1/2 inch of liquid) and stir/saute uncovered over medium heat for about 40 to 50 minutes. 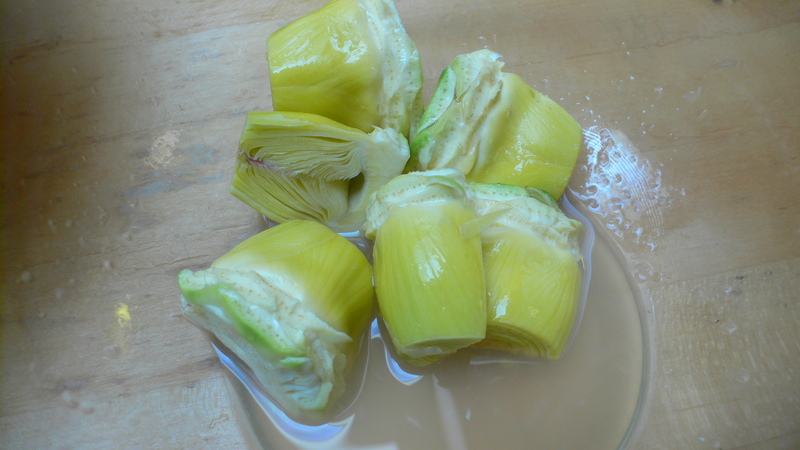 The liquid should be slightly bubbling. 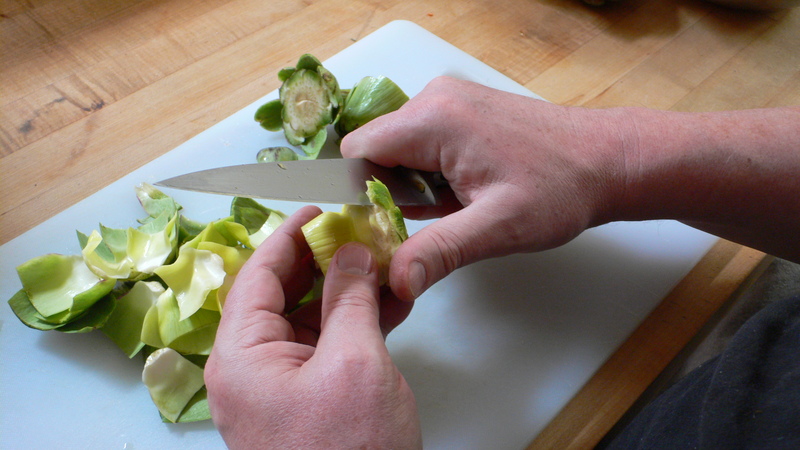 Keep hot water ready and add a little as often as needed throughout the sauteing process to replace the liquid that has evaporated. 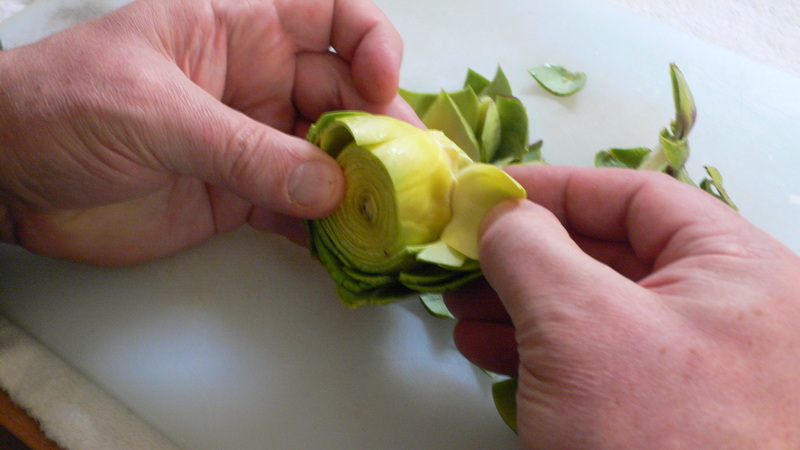 Cook till tender. 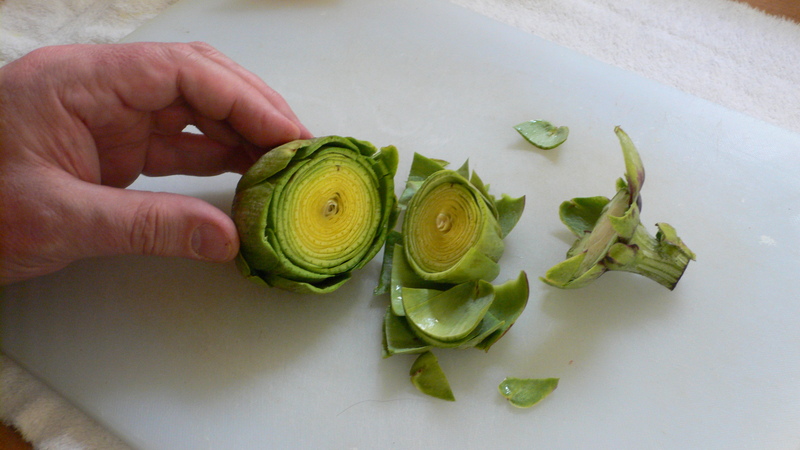 Served as main vegetable dish. 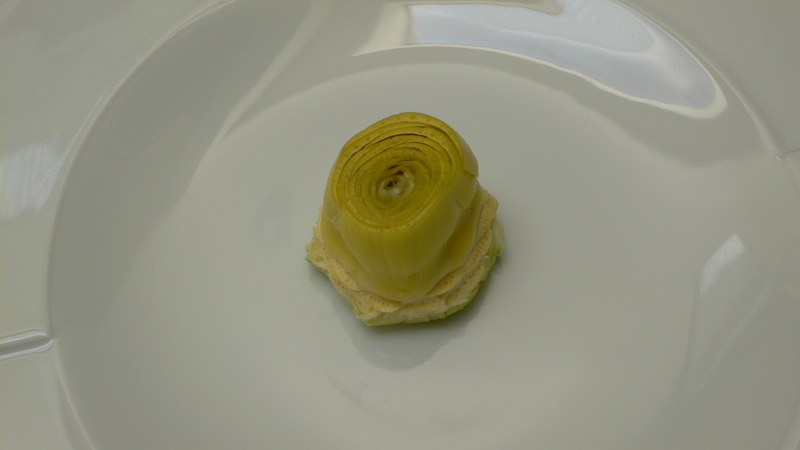 Any cold leftovers would be delicious on crackers or green onion slab (Acme) bread.